We Shiv Craft , are one of the reputed manufacturers and exporters of stylish, captivating, fashionable and designer ladies apparels. Coming finished in exclusive designs, the broad category of our range of ladies party wears and ladies apparels include High fashionable Kurtis, dresses, maternity dresses, t-shirts, ladies tops, tunics, bottoms and tank tops. Established in the year 2012, at Noida, our operations are being led under able guidance of Mr.Nitin Jhoshi, who has with his extensive garment industry experience. His able handling of the operations and dedicated support of our designers and other associated staff help Shiv Craft to successfully meet the diverse apparel requirements of our clients. Today, our capability to develop our range in exclusive finishes and customized specifications has helped us to carve a niche for ourselves in the world of fashionable ladies apparels. We have a multi tier quality control system backed by services of experienced quality control personnel. This helps us in checking and controlling quality at each stage of production. 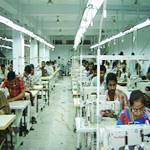 We have with us services of skilled designers and other associated workforce. Their innovative ideas and creative approach assist us in designing fashionable ladies apparels in beautifully finished patterns. Further with the help of our experienced team, we are also able to have better co ordination of the involved operations, ensuring optimum outputs both in terms of quality and quantity. We offer an array of fashionable ladies clothings in bright colors and enchanting designs. The broad category of our exclusive range of fashionable women apparels include tops, high fashionable kurtis, dresses, maternity, t-shirts, ladies tops, tanks and bottoms. Offering them in contemporary modern designs, we cater to meet both the standard & customized apparel requirements of our customers. We have also developed our expertise in the manufacturing of ladies fashion apparels as per the customized styles, designs and other specifications provided by our customers. The extensive process experience of our designers and associated workforce enables us to clearly understand and meet the specified order demands. We have with us complete stock of grey fabrics, which are bleached, dyed and printed in required quantities according to the order quantities. This system ensures that there are no delays due to unavailability of raw materials while executing the orders. We also possess sources and full set up to import fabrics according to buyer's choice if required.